About CPA firm in Chicago, IL | John Joseph Griffin, CPA, P.C. About John Joseph Griffin, CPA, P.C. John Joseph Griffin, CPA, P.C. is dedicated to serving the accounting, bookkeeping and tax needs of small businesses and individuals. We boast a small, yet fully qualified team of financial professionals at our Chicago, IL CPA firm and offer a free initial consultation, so you can get to know us and learn about our services. When you become our client, you’ll always be treated like a valued customer. Some CPA firm are missing in action when you have a question - not us. At John Joseph Griffin, CPA, P.C., we have a passion for delivering great customer service, so we’re always happy to assist clients when they reach out to us. Every client request is treated as an opportunity to solidify our professional relationship by exceeding your expectations. 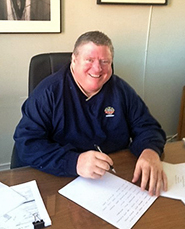 After self-funding his tuition with a landscape business, John graduated from Providence College in 1988. He then traveled extensively throughout the United States and settled in Chicago in 1998. In 2001 he passed all four sections of the CPA exam in a single sitting. John worked at two CPA firms honing his tax skills before officially starting his own firm in 2010. Personal interests include Chicago sports, travel, guitar and golf. Call us now at 773-545-6750 to discuss our comprehensive list of accounting and tax services.